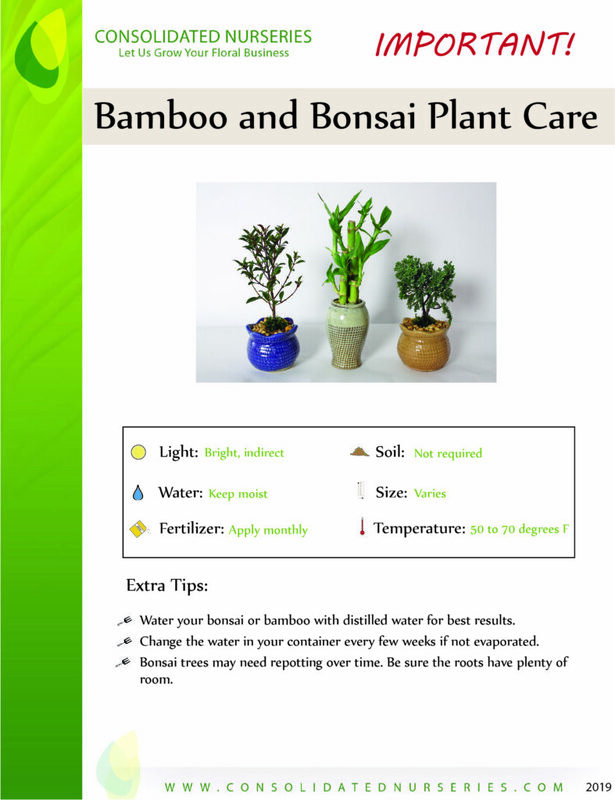 Bonsai is the Japanese art of cultivating plants in small containers to mimic full-scale trees. 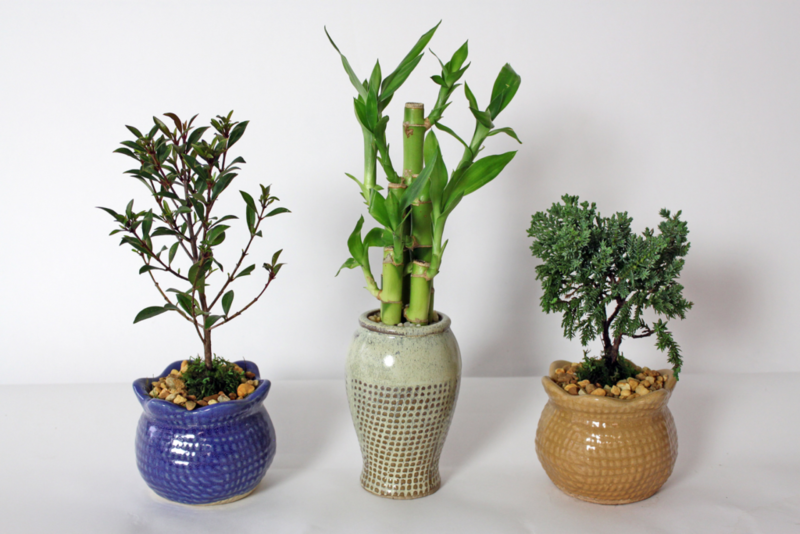 Our bonsai collection includes Cherry Blossom, Lucky Bamboo, and Juniper. They are characterized by small, beautiful pots and pruned and trained to look like miniature trees.